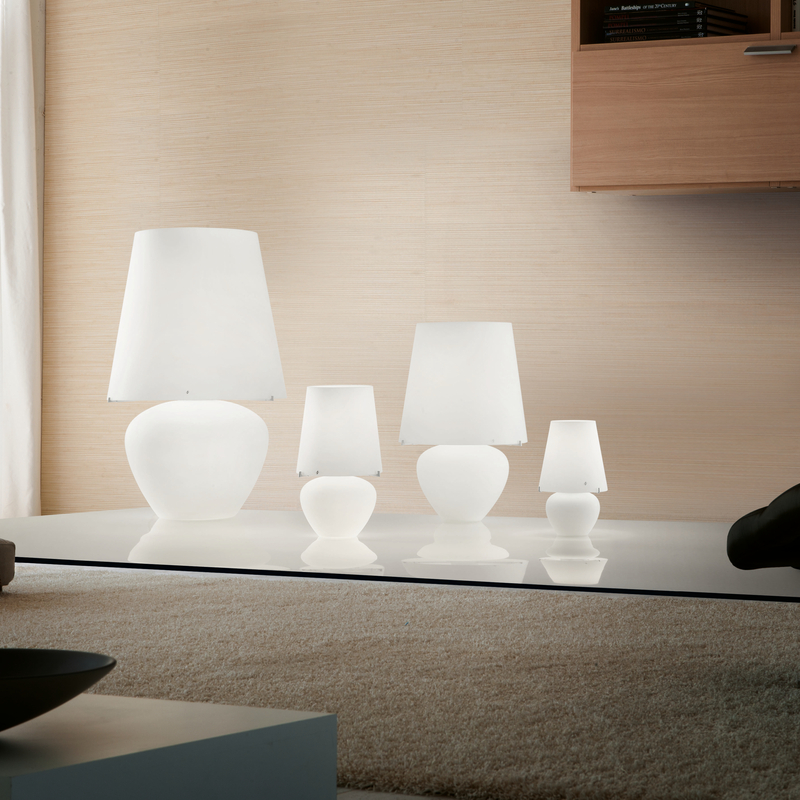 The Vistosi Naxos LT 76 Table lamp - a visual stimulus! This lovely table lamp from the collection of Vistosi Naxos is more accessory for your home than just a simple lamp. Made of satin-finish blown glass underlines this material, the attractive design of the light and forms an elegant focal point for your living room.